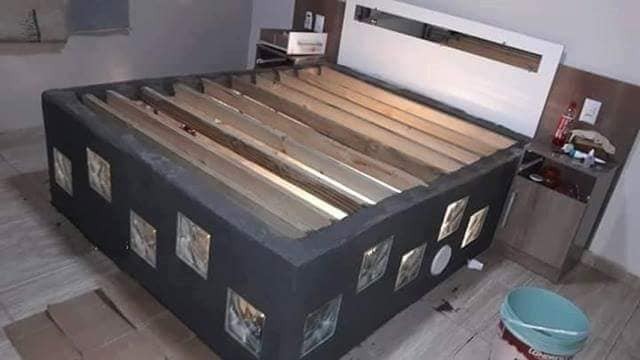 How great it would be if you have an idea to make awesome DIY bed frames that looks so nice! 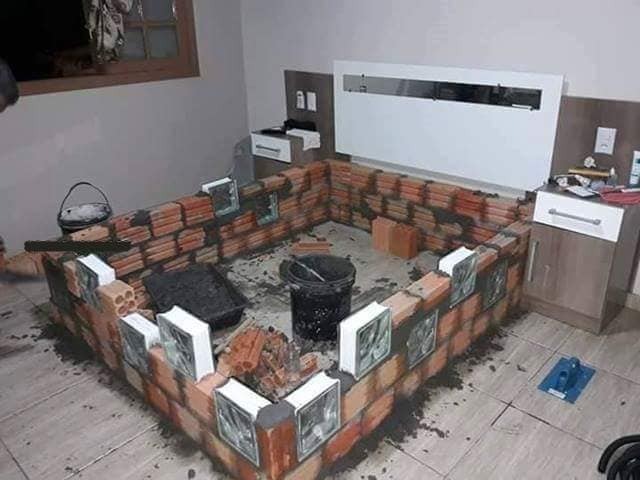 One person was enough creative and make an effort to do this project. 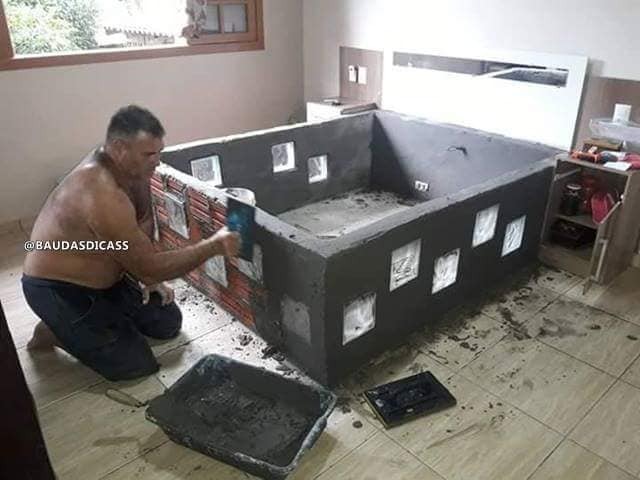 The full process and the way how he builds bed frames by using bricks is shown below. We should be thankful to this creative person who shared his work with us in an unselfish way to inspire us. You will have an opportunity to check the full building process in the following photos. 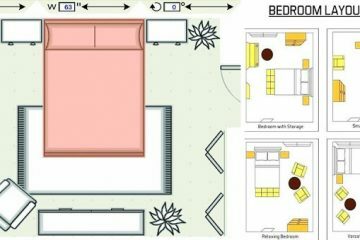 Have a look in incredible good do it yourself idea for your own bedroom place! Forget about broken bed frames and choose the quality made and only by yourself. Share the idea with creative friends and motivate them to try this do it yourself idea in free time. First of all, you need to think about the place where your bed will be and after to measure the flooring. Be careful when measuring to have the same dimension of both sides. Use bricks for making awesome frames and also leave empty space for putting hidden LED lights. The total number of LED light you will need is 9. The second steps are important and you must decide about the height. Continue to the building process, bricks by bricks now you are to the middle way. 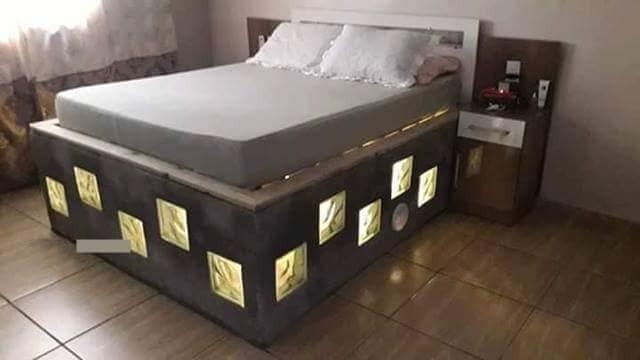 For every side of the bed, you will need to add 3 lights. 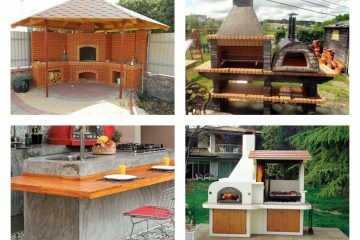 Don’t worry about the mess you will clean it after finishing this awesome project. The next step is cementing the bricks in a way to create a good look. After doing this you can apply the colour, see that in the next step that follows. Step by step, slowly but surely you are coming to the end of the process. 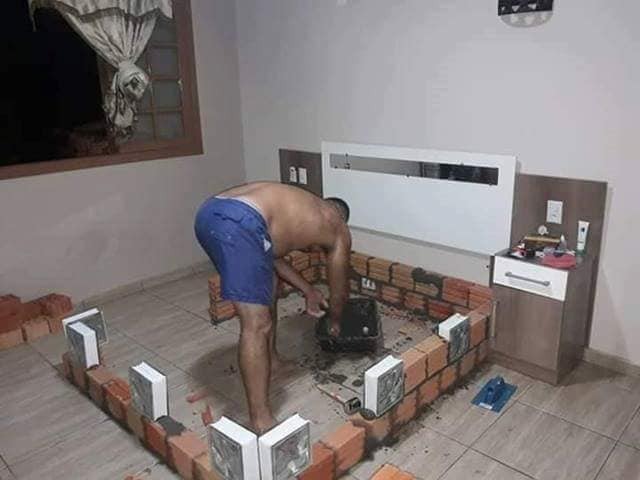 You have arranged the bricks, you have added the lights, and now you need to cover the cement. Black paint colour is great to cover the drawbacks you have made in the process. Read on. When the painting is finished, add wooden box spring that will hold the mattress. After this, add the mattress choose some lovely bedding in 3D design and sleep in this favourite bed. Check the following photo that tells a lot about this idea! Your bed is ready and you have med the best handmade bedroom design! At the end of this post, you can see the final result of this person’s effort. 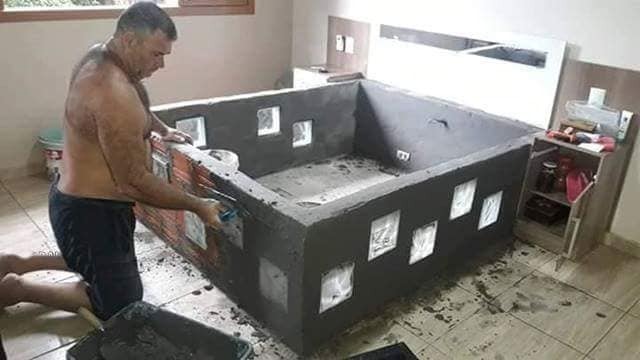 He made the absolutely great bed that all of us will wish to make it. 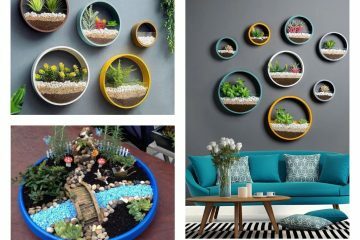 Spend your free time doing DIY idea for remodelling your house interior. Also, check about how to paint your home like a pro that can be also a do it yourself process. Thanks and stay in a positive mood!